Zenjuries for Agents. 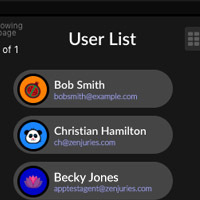 All the features of Core Zenjuries plus client tracking and reports. Check out some of the features below. OSHA estimates that the prompt reporting of claims alone can lower costs 47% Its been discovered that claims reported more than three days after injuries can add 16% to Medical Costs, and 38% to Indemnity Costs! Claims reported more than 12 days after injuries can increase the likelihood of attorney representation by 67% for Medical Claims, and 69% for Indemnity Claims! If we already know this.... Why is it so hard to fix it? Why doesn't the injury employee communicate before it's too late, and why isn't everyone participating? Isn't it in everyone's best interest to participate in communication? Zenjuries is state of the art software and calculated algorithms that establishes communication between critical team members during workplace injuries. Zenjuries empowers businesses to feel involved in the claim from beginning to end... and it works! Instead of clients having no direction, Zenjuries delivers the ball to the insurance pros in minutes, not days, weeks, or months later. A win-win for everyone. With it's "press the gas and go" technology, Zenjuries made to be easy to use and efficient in getting done exactly what you need to be done. Every process is designed to make the demands of workers' comp insurance to be as simple and direct as possible, and we're always improving it! Check out our software lineup below. 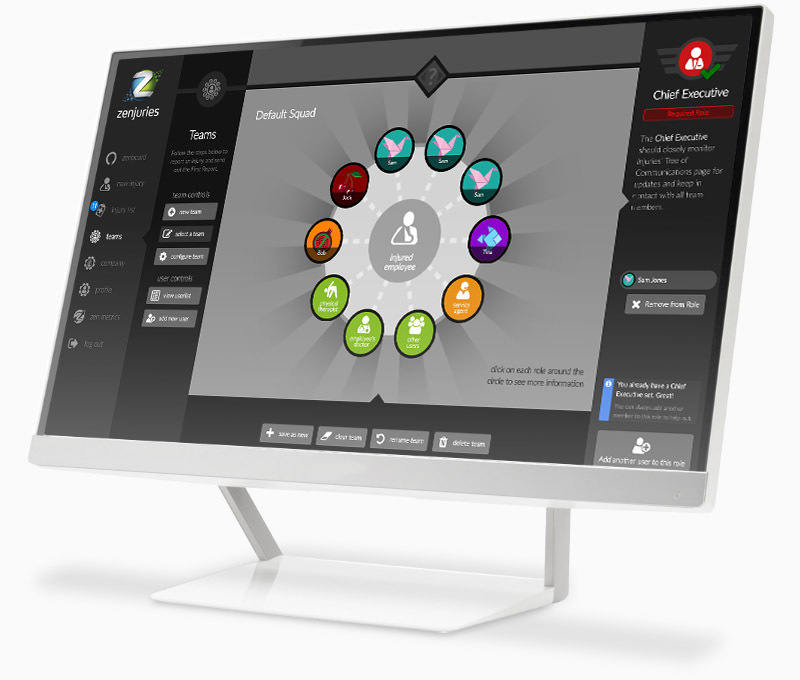 With the "Circle of Care", our Teams management system, you can assign members to injury response teams that can be populated with your agents, clients, managers, doctors, physical therapists, and others. And every member has access to full communication, alerts, and event history. 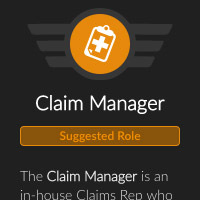 Agents and users can be applied to individual roles. Communication is key. 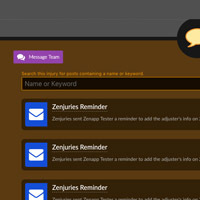 All Zenjuries users have the ability to communicate using a familiar chat interface. Track and notify users directly from a friendly and manageable user list. The base application that controls all of Zenjuries. Easy to learn, enjoyable to use. Check out some of the features below. Request a demo of Zenjuries zAgent. You will be contacted shortly after submission to schedule your demonstration.